ESET Smart Security 4 is an effective and comprehensive security suite that offers protection against viruses, Trojan, malware, spyware and online threats. The new ESET Smart Security 4 comes with personal firewall with port stealthing and advanced filtering feature, ThreatSense technology combines multiple layers of detection protecting from Internet threats, and lightweight design. In addition, it has added tons of features such Self-Defense, Encrypted communication, Smart Optimalization, ESET SysInspector, Anti-Stealth, and SysRescue that allows user to create computer recovery medium on a CD and USB key for system boot-up. ESET Smart Security 4 normally costs $59.99 (one PC) for purchase. As part of promotional offer from PC World magazine, interested users intend to trial now can grab the ESET Smart Security 4 with free 3 months license key which will be valid for one computer. Then enter promo code PCW1-orld12z9 and click Dalej button. Entering the required fields in the form by full name, email address and click Dalej button. The page will forward to next page where user needs to enter email address again, before proceeding to the next page to click Zakoncz button. Once done, check the mailbox, the email from ESET Smart Security 4 should be arrived at Inbox receive with license code and other registration details. Then Download the ESET Smart Security 4 by using link http://www.eset.com/download/index.php and click on “Take me to my Downloads”. 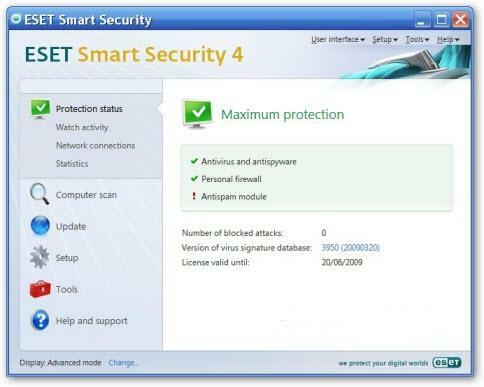 ESET Smart Security 4 supports Windows 2000, Windows XP, Windows Vista, and Windows 7. Also check out more promotional offers on free anti-virus software.